Easy, cheap and simply delicious!!! 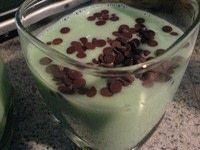 Summer is about to end....but I'm not going to let it go without making this fresh dessert!!!! I'm a fan of Chocolate-Mint flavour, so I decided to make this!! =D It's kind of vegan because I use agar-agar powder. 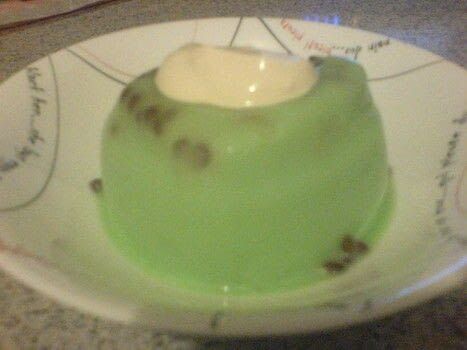 Agar-agar is jelly obtained from sea-weed, so it contains lots of fiber and it's quite healthy =D plus! it sets quickly if you are on a rush and you can buy it at any Asian grocery store =)Try it and tell me what do you think about it!!! First of all gather your ingredients. 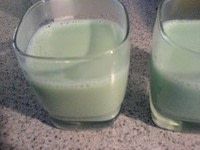 I don't know why I can't type fractions on the list of ingredients for cups XD so you'll need: 1 1/3 cup Soy Milk 1 cup Water 1/8 cup Agar-agar powder 1 or 2 Mint Tea bags depending on your taste =) Apart from that you can use the amounts shown on the "You will need" list. 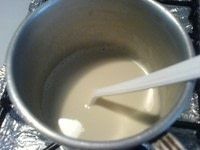 Start by heating milk just before it starts to boil and add the mint tea bag. Let it brew for about 8 minutes and when you take out the bag, press it a little with a spoon to obtain all the flavour possible!!! 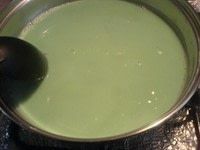 Add a few drops of green colouring and sugar. 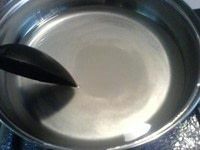 In another sauce pan, mix water and agar-agar powder and heat it over medium heat until it starts to boil. 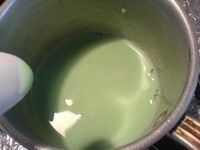 Keep mixing and when it boils, lower the heat and mix again for another two minutes. Let it cool at room temp. Cover it with some plastic wrap and put it on the fridge for about 5 minutes just to make it extra fresh.